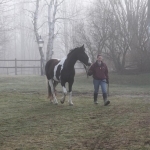 Luna is coming four this year, and currently stands at 16 hh. This sweet girl came from the New Holland auction in Pennsylvania in May of 2013; as a two-year-old, she had been ridden miles to the auction that morning! 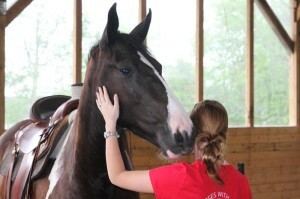 Luna's willingness to please was in evidence even among the chaos of the auction ring, and her calm attitude quickly convinced us that she would be a valuable addition to our program. 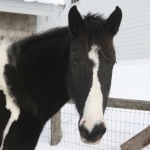 Luna is a quiet, sweet-natured mare who takes everything in stride. 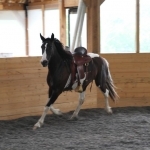 Luna lunges, ground drives, and is nicely sensitive to her riders’ aids under saddle. 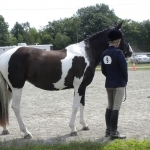 She has been exposed to a wide variety of obstacles in the ring, goes in either English or Western tack, and hacks out alone or in company. 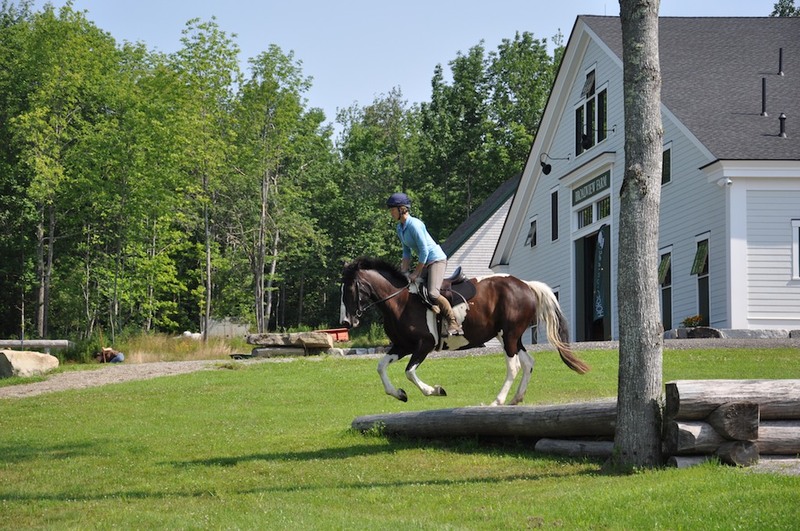 Luna has taken many trips off property to the local fairgrounds and to nearby farms, and has happily schooled small cross-country fences. 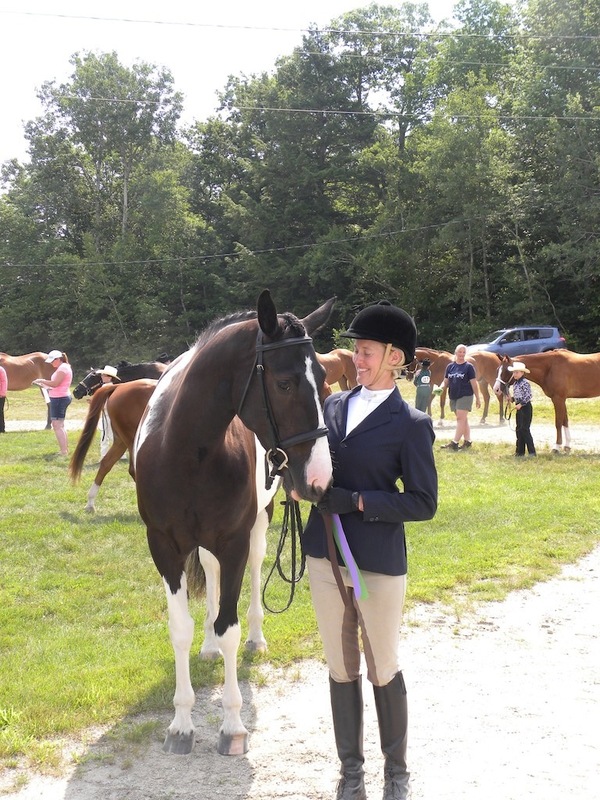 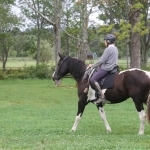 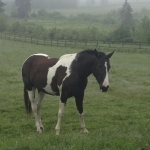 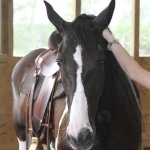 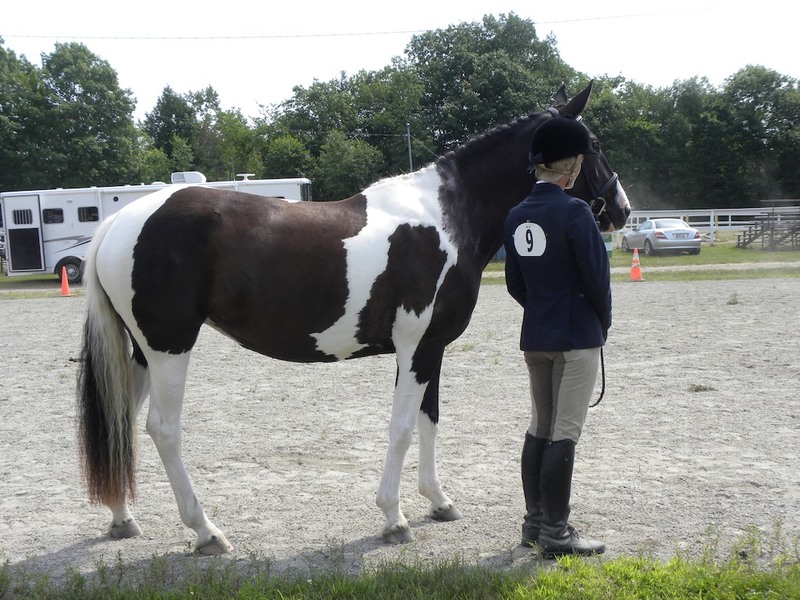 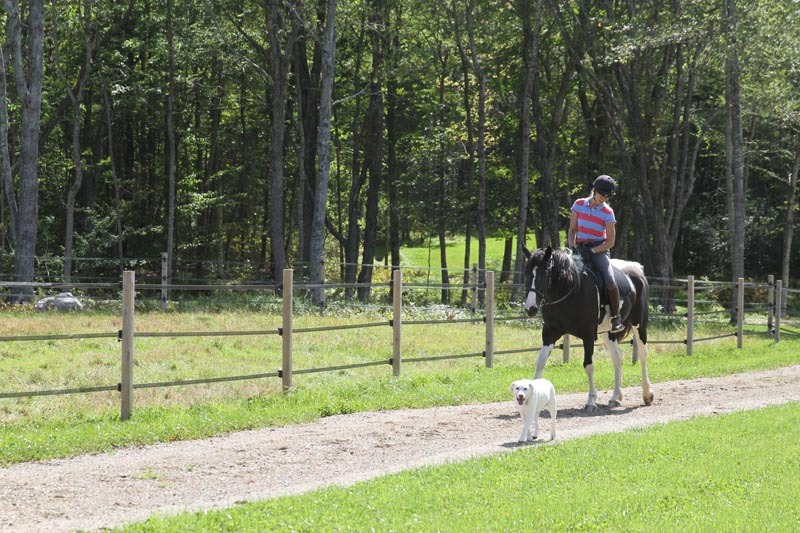 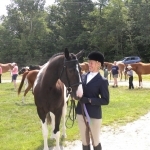 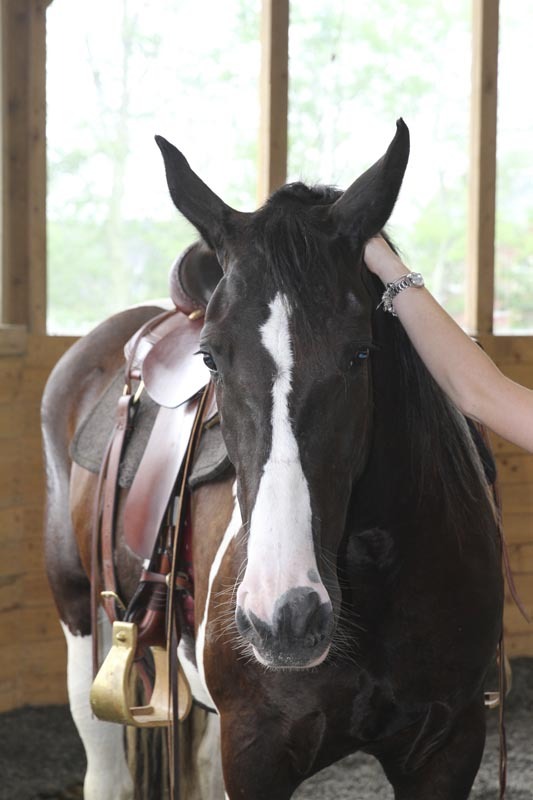 She has excellent ground and barn manners and gets along well with other horses. 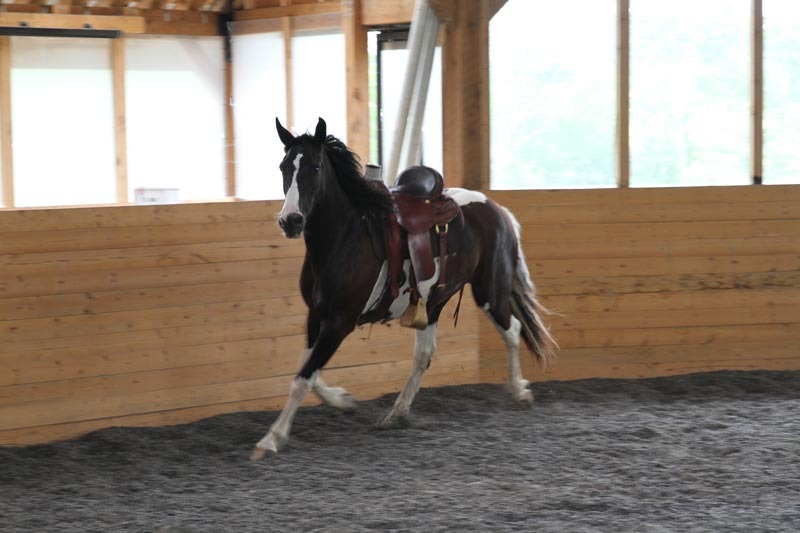 Because she is young and still growing into herself, we feel that Luna would do best with a confident rider who can continue to build on her fitness and training. 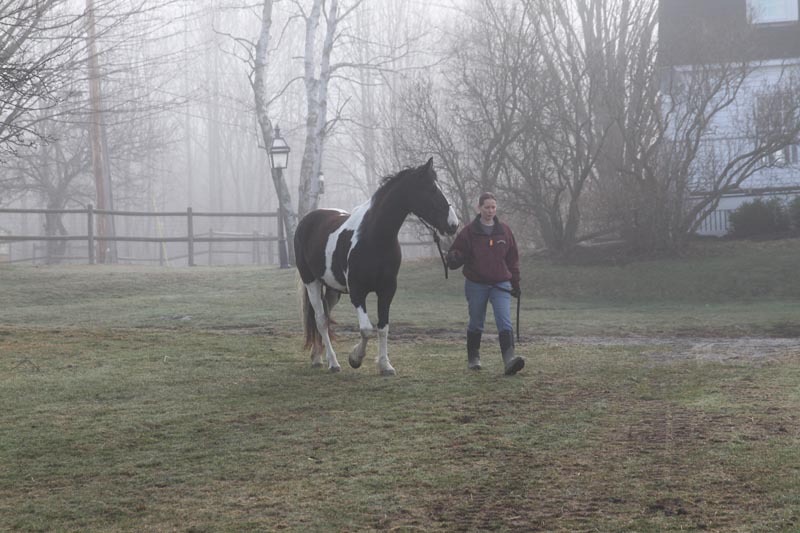 This girl has a lot of potential and will make someone a lovely all around pleasure horse or low level competition partner. 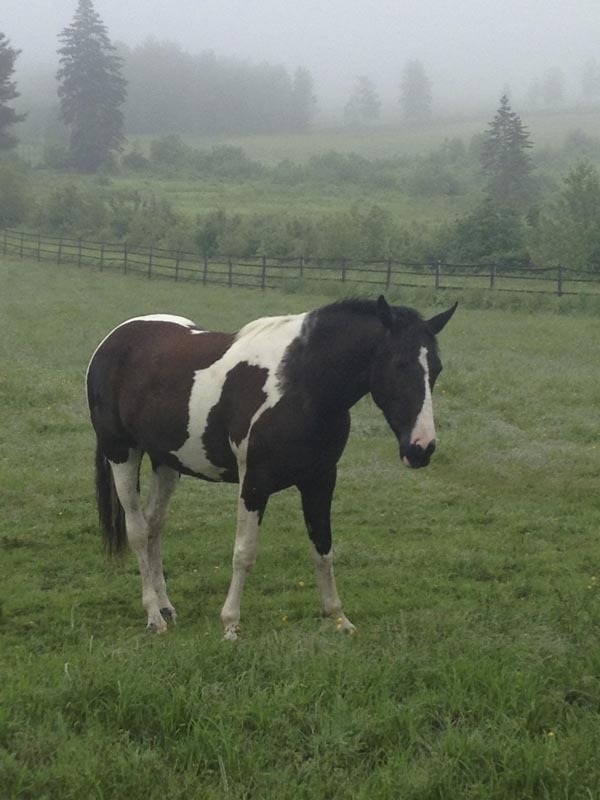 Update: In July 2015, Luna was placed in a fabulous forever home in Massachusetts. 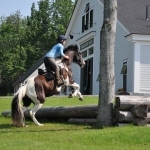 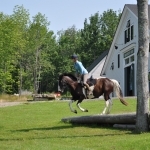 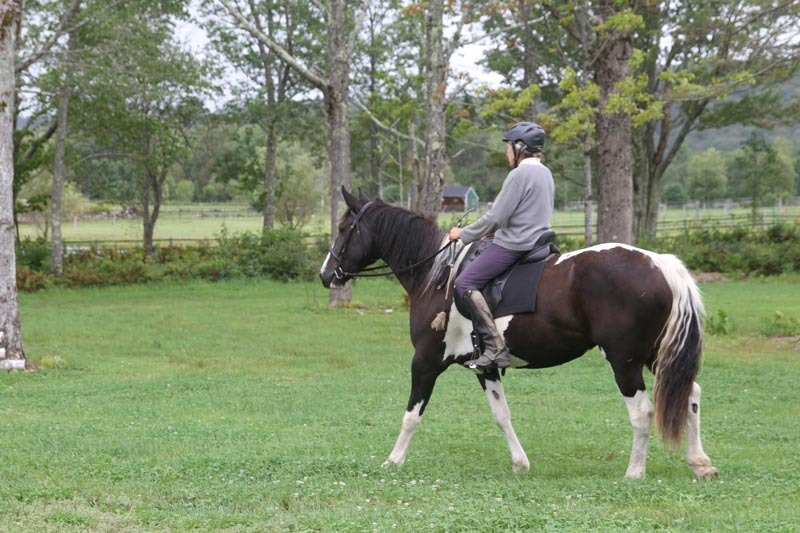 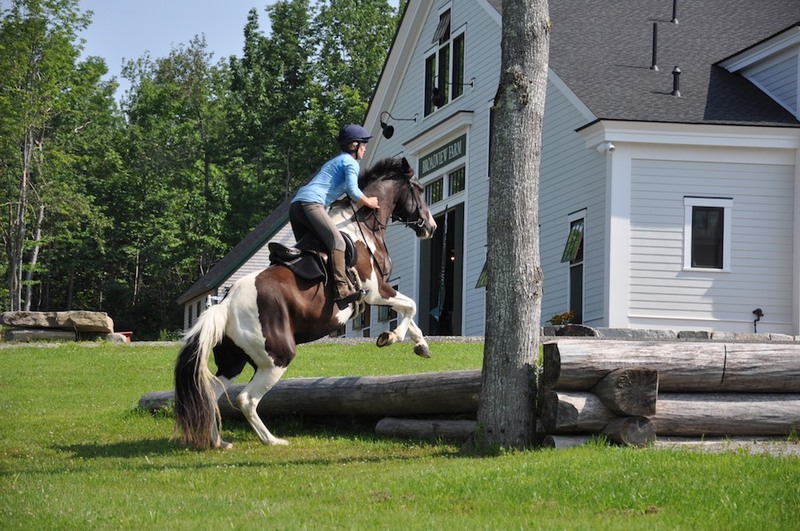 Luna will spend her time learning low-level dressage and taking off-property excursions for trailrides, beach rides, and the occasional local show. 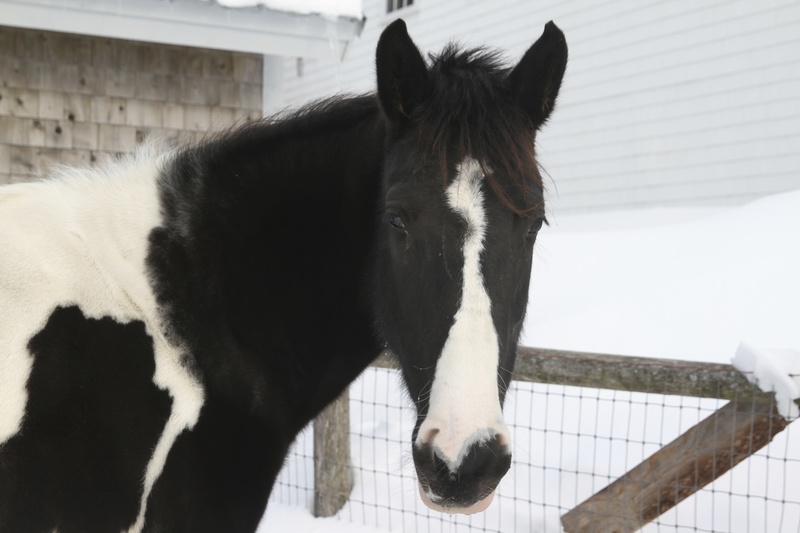 We are thrilled for Luna and her wonderful new family, and wish everyone all the best!